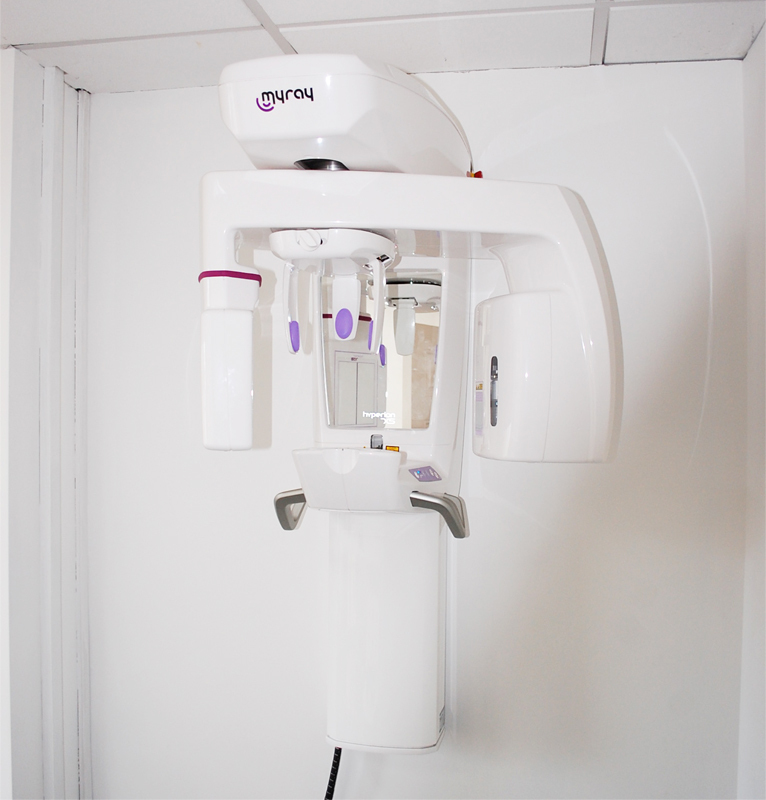 At South Dublin Dental, we have had a Cone Beam CT scanner installed due to the number of implants and root canals we perform here. The CT takes an accurate 3D image of your bone and teeth. In Implant dentistry this enables us to correctly plan your implant treatment ensuring to avoid precious structures such as your sinus and the nerve that supplies feeling to your face. Regular x-rays can not give us this accuracy in measurement or 3 dimensional image. In Endodontics (Root Canal Dentistry) the CT scan can tell us where and how many canals your tooth may have which is very important in achieving a pain free optimal outcome root canal treatment. At South Dublin Dental our CT scanner has various different fields of view so we can limit the exposure to just the area we are interested in. We also perform CT scans for other dental clinics on a referral basis.